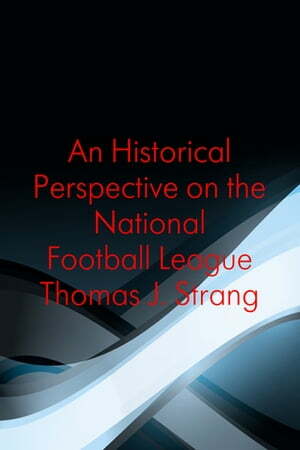 Collins Booksellers - An Historical Perspective on the National Football League by Thomas J. Strang, 9781310403668. Buy this book online. The National Football League (NFL) is a professional American football league consisting of 32 teams, divided equally between the National Football Conference (NFC) and the American Football Conference (AFC). The NFL is one of the four major professional sports leagues in North America, and the highest professional level of American football in the world. The NFL&apos;s 17-week regular season runs from the week after Labor Day to the week after Christmas, with each team playing sixteen games and having one bye week. Following the conclusion of the regular season, six teams from each conference (four division winners and two wild card teams) advance to the playoffs, a single-elimination tournament culminating in the Super Bowl, played between the champions of the NFC and AFC.